70,000 fans sat in the rain and "cold" at Heinz Field. Penguins' Evgeni Malkin scored first. 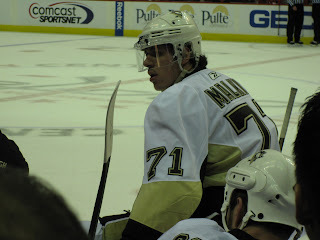 **** Here's one of my better pictures of Malkin from May 2009. Mike Knuble scored for the Caps to tie the game at 1. Fehrzy handled the rest. If you're not a Caps fan, you may not have known Eric Fehr's name. Well, hopefully now ~ you won't forget it. Living in the DC area, I run into a lot of the Washington Capitals. The ones I've met have been friendly and appreciate their fans. 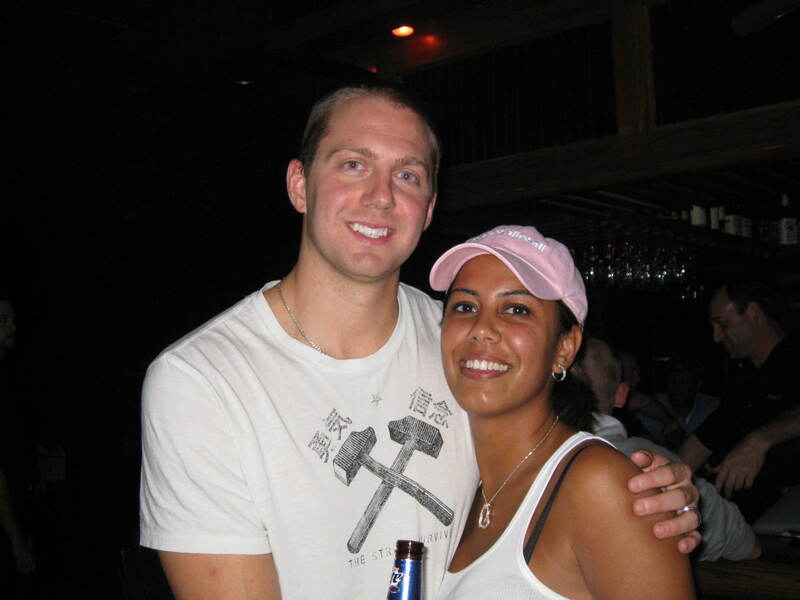 **** Here's a pic I dug up from 2007, with Eric Fehr. Nice guy. Capitals and Penguins meet again on February 6, 2011 at the Verizon Center. By the way, I had no idea Caps coach, Bruce Boudreau, went to my high school... At least he looked like he did with his "varsity" jacket... Just kidding!